Two hackers were sentenced to 8 and 12 months in jail respectively. 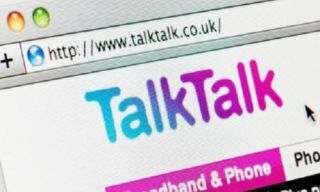 Two of the criminals behind the 2015 TalkTalk data breach have been sentenced to months in jail for their part in the attack. Matthew Hanley, 23, and Connor Allsopp, 21, both from Tamworth in Staffordshire, had previously admitted to being part of a data breach that saw 1.6 million user accounts compromised. Hanley is sentenced to 12 months in jail, while Allsopp got eight months. Sentencing, Judge Anuja Dhir QC said they were "individuals of extraordinary talent", the BBC reports. "I'm sure that your actions caused misery and distress to the many thousands of the customers at TalkTalk," she said. The company said that the incident was, "significant and sustained”, as it suffered at least three data breaches that were disclosed. In November 2016, a teenager pleaded guilty to seven charges of hacking, two of which were related to the October 2015 TalkTalk breach.